Cut potatoes into 1 to 2-inch pieces. Heat oven to 375. Toss the potatoes with paprika, salt, pepper, onion powder, thyme, and oil. Let stand for 5 to 10 minutes. 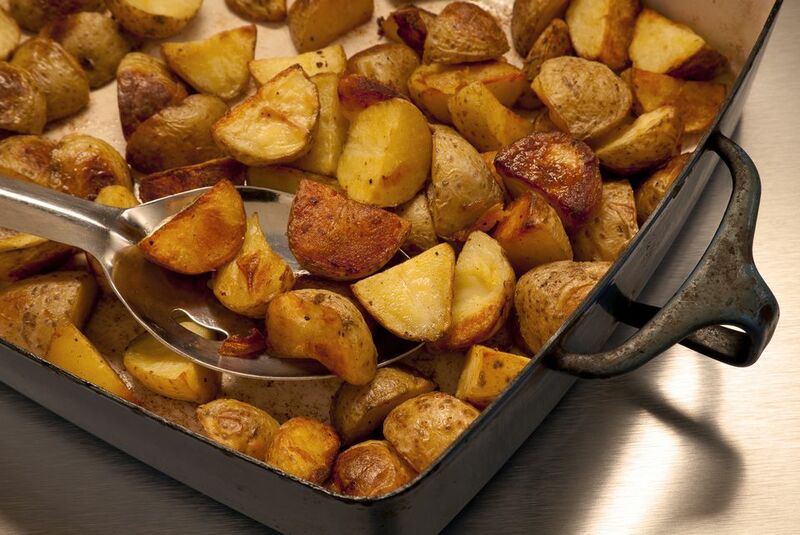 Put the potatoes in a lightly oiled open shallow baking pan and bake for 45 minutes, or until potatoes are tender.